The first fire extinguisher ever produced was patented by Ambrose Godfrey in England in 1723. It contained a liquid which could extinguish a fire, along with a pewter chamber which contained gunpowder to use as an accelerant. What we think of as a modern fire extinguisher was first developed in 1818 by Captain George William Manby. It contained 3 gallons of potassium carbonate solution within compressed air. Over the next century, fire extinguishers based on chemical foam, soda acid, and water-based solutions would also be developed. There are several different types of fire extinguishers which are sold by the industry today. The three primary extinguishes that the average home or business uses are Class A, Class B, and Class C extinguishers. These fire extinguishers can be purchased independently, by class, or they can be purchased as a combined Class ABC-type fire extinguisher. As long as there are structures, there will be a risk of fire. To mitigate that risk, the production of fire extinguishers will be necessary. That means there will be a consistent place for this industry in the developed world. Fire extinguishers are a stable industry because the extinguishers are given expiration dates. Every year, there is a certain number of fire extinguishers which must be replaced because of local, national, or international building codes, laws, and regulations. That provides enough foundation for work that keeps the current industry active, though it does prohibit expansion on any type of scale. 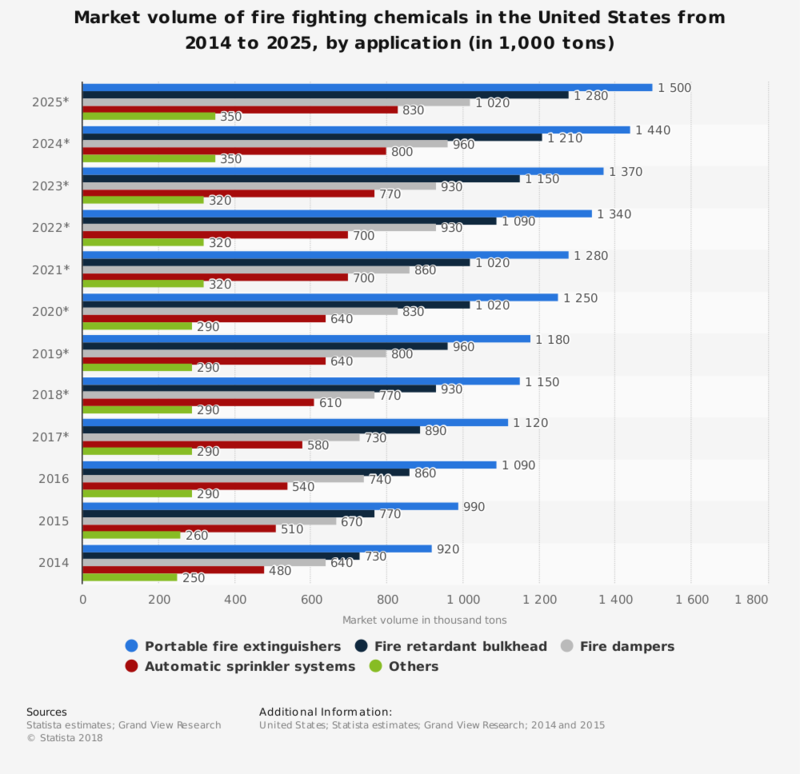 Additional opportunities for the industry, through fire suppression systems and other types of proactive fire management, do offer the potential for industry growth. When combined with the extinguisher segment, there will continue to be opportunities for this industry for some time to come.